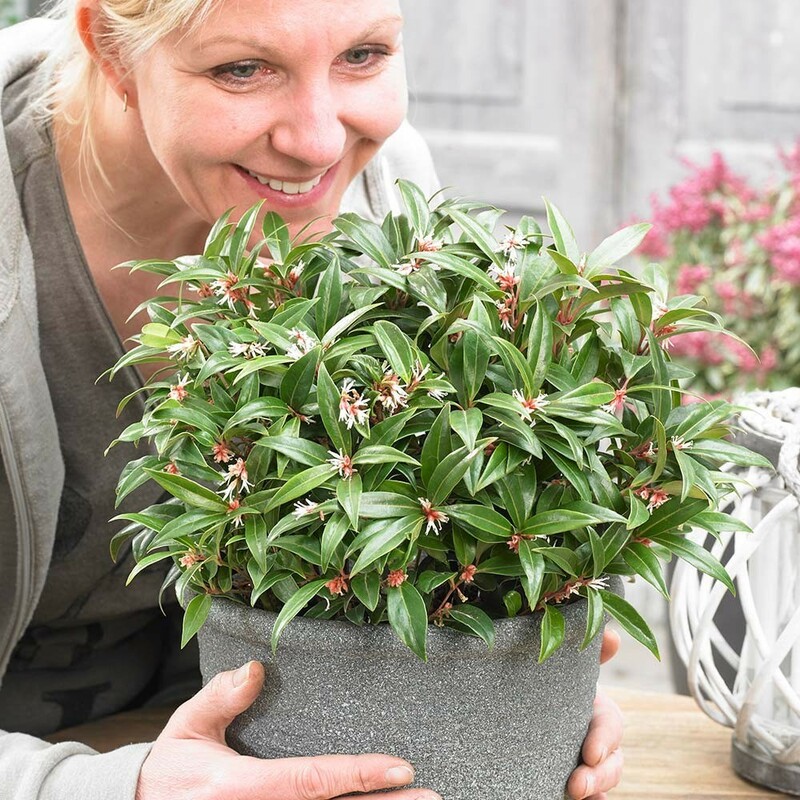 WINTER SALE - Usually 15.95, today just 5.95 - Save £10! 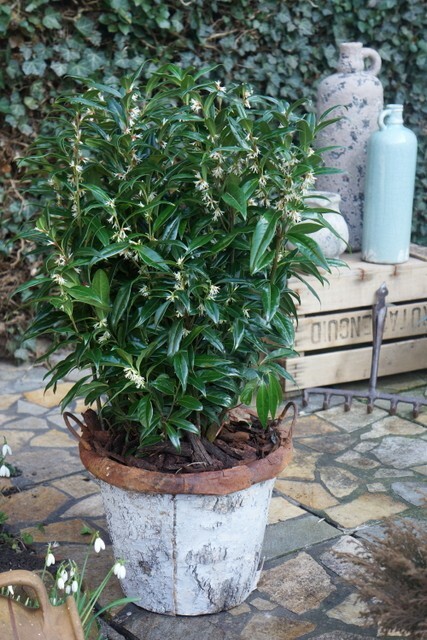 This Sarcococca is a new hybrid variety that has inherited the best characteristics from both it's parents. 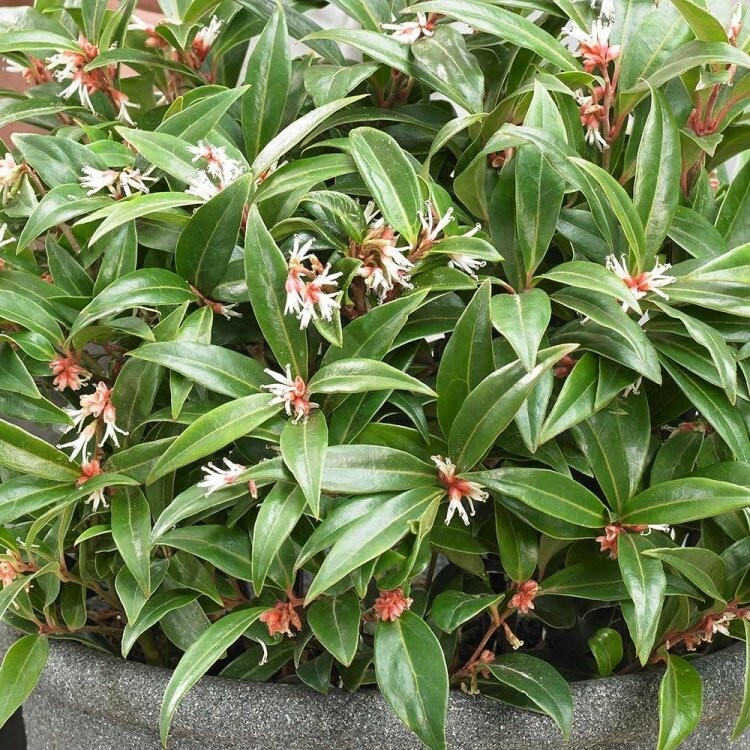 It is an extremely tolerant plant that will tolerate many different positions, even growing well in shaded areas, displaying rich, glossy green foliage that remains all year. 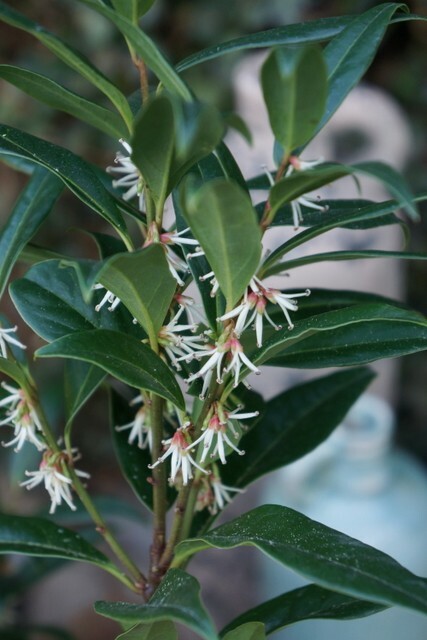 In winter extremely fragran white flowers appear producing a perfume that will waft around the garden and can be smelt from afar - a very pleasent discovery when venturing outside in to winter sun during the colder months, or strolling by on a patio or nearby path where it would be ideaal to plant. 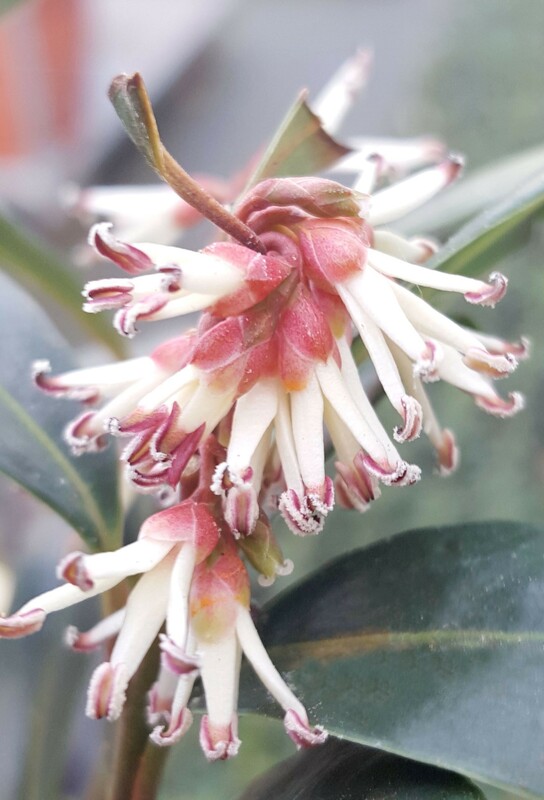 It has larger than average leaves, which are a glossy, rich green and highly scented white flowers in winter that are followed by spherical, glossy, red berries that ripen to black. 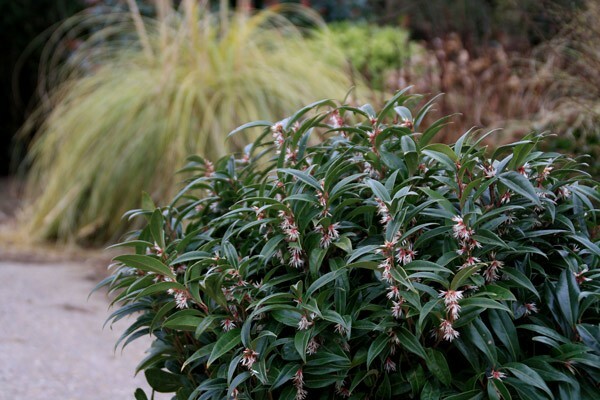 Tough and tolerant of most conditions, it is especially valuable for shadier areas. Slow growing, it is great planted in groups for a bigger impact. Supplied in approx 1-2 litre containers.